Rename "Close Sel. Archive" to "Close Selected Archive"
I'm gonna continue updates over there now. 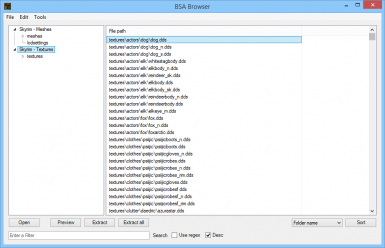 This is Fallout Mod Manager's BSA Browser as a stand-alone application that can be used without having to install Fallout 3 or New Vegas. It also offers some new features.